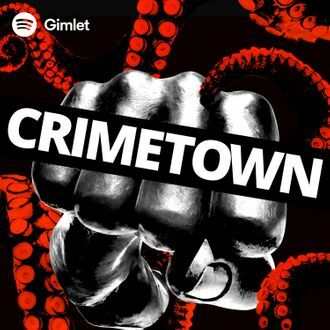 Crimetown, the deeply entertaining Gimlet Media podcast developed and hosted by The Jinx’s Marc Smerling and Zac Stuart-Pontier, will return with a new season on October 1. After spending the first season digging into the criminal underbelly of the New England city of Providence, Rhode Island, Smerling and Stuart-Pontier now turn their blend of history, archival tape, and pulpy sensibilities to the totally Midwestern city of Detroit, Michigan, the former auto capital of the world that’s currently in the midst of a rebirth. The season will begin in the early 1970s, when the city authorities formed a new police unit called STRESS — “Stop the Robberies, Enjoy Safe Streets” — whose members shot and killed 21 people within the first three years of its existence. All but one of those shooting victims were black. Crimetown’s Detroit season will unspool over 20 episodes, guiding listeners through three decades of interweaving stories, up to the fall of Mayor Kwame Kilpatrick in 2008. Crimetown will kick off the season with the release of its first two episodes on October 1. It should be noted that the new season will be exclusively available on Spotify, though the show is planning to distribute the first episode in all the places you can usually find podcasts: Apple Podcasts, Google Podcasts, Stitcher, and so on. The second episode and every subsequent installment will be found only on Spotify, with new episodes dropping every Monday. With the choice of Detroit as Crimetown’s second city, the podcast continues to carry out its core premise, investigating crime and corruption in different American cities. As much as I’m eager to check out their examination of Motown, I’m crossing my fingers for a totally unexpected destination the next time around: Jackson Hole, Wyoming, maybe, or Palo Alto, California.